I love traveling. Besides immersing myself into different cultures and visit various historical places, I am all about food!! 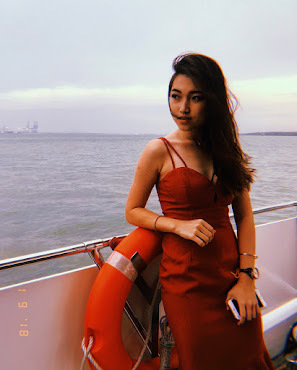 I love trying all kind of food especially the local cuisines, I mean who wants to travel all the way to a new destination and not enjoy the local cuisines? Definitely not me. Unfortunately, I have had my fair share of vacations ruined because of my stomach. It gets bloated easily or couldn't digest the foods I was indulging in. I had to forgo eating some amazing dishes towards the end of the trip which makes the whole trip not so enjoyable. Just before my Sabah trip, I came to know about Moringa Bioenzymes by Iviora Malaysia to collaborate on a sponsored post. I was thinking why not give it a try to avoid this horrible feeling. 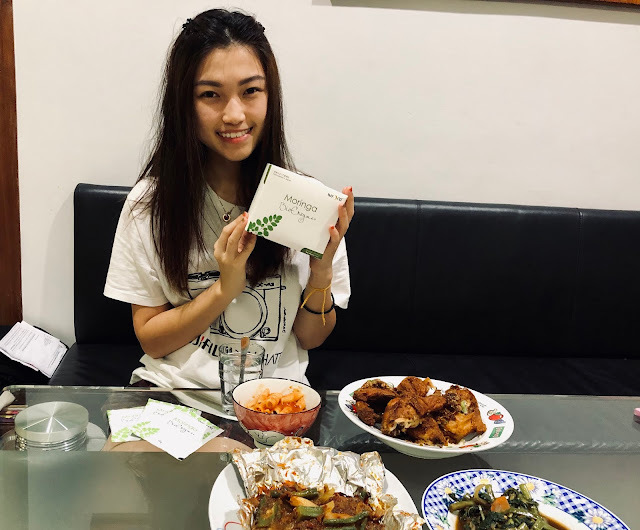 Iviora Malaysia sent me a sample to try for a week and it turned out to be exactly what I needed to be able to enjoy "non-stop eating" again! 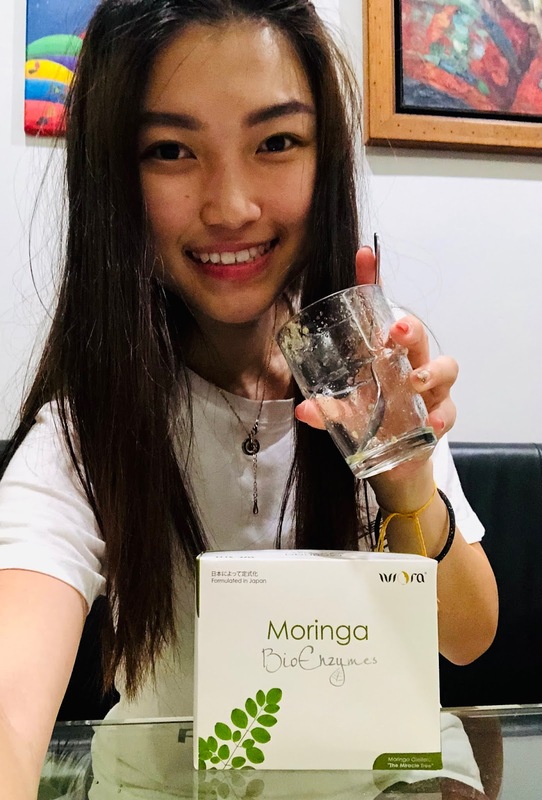 Iviora Moringa Bioezymes is introduced since 3 years ago and it is a real superfood with Natural Ingredient, Powerful Antioxidants and Energy Booster formulated in Japan. 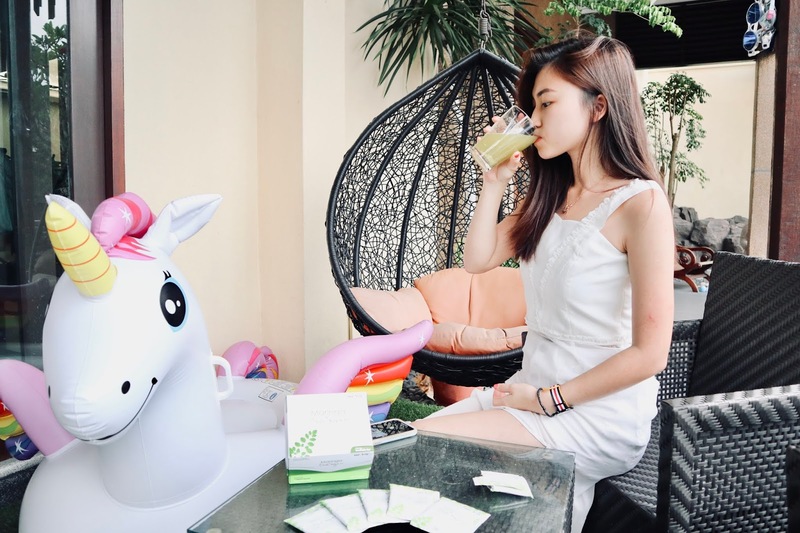 It aims to promote healthy digestion and regulate the immune system. Moringa Bioezymes consists of natural enzyme complex with 90 nutrients, multivitamins, multi-minerals, 18 amino acids, 46 types of anti-oxidants, 46 types of anti-inflammatory compounds, probiotic and other proteins naturally extracted from plant-based foods. Moringa Bioenzymes is suitable for adults and children above 12 years old. It helps in better digestion, promote immune system regulation (Detox), improve of mineral and calcium absorption (Restore) and rejuvenation as it is high in ORAC antioxidants and alkaline. The food that we eat such as bread, egg, meat is acidic. 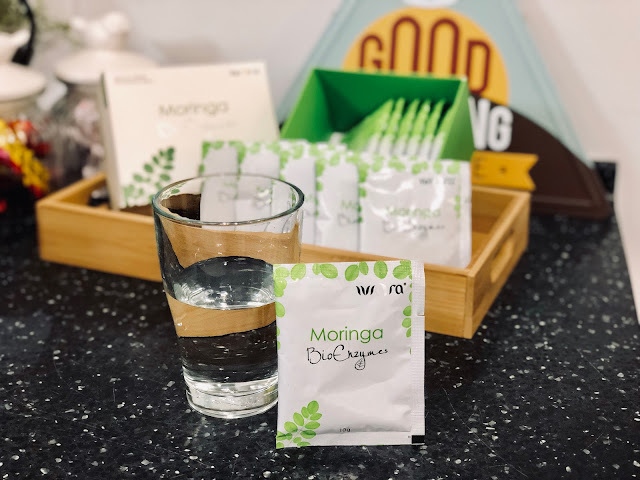 Iviora Moringa Bioenzymes are more alkaline, therefore it neutralizes the acidity. Take 1-2 sachets a day after a meal (dinner/ supper / after a meal) by mixing with 150ml room temperature water. Increase water intake to extra 2 cups of water after consuming the product to assist in body detox. DO NOT consume product with empty stomach or before sleep. 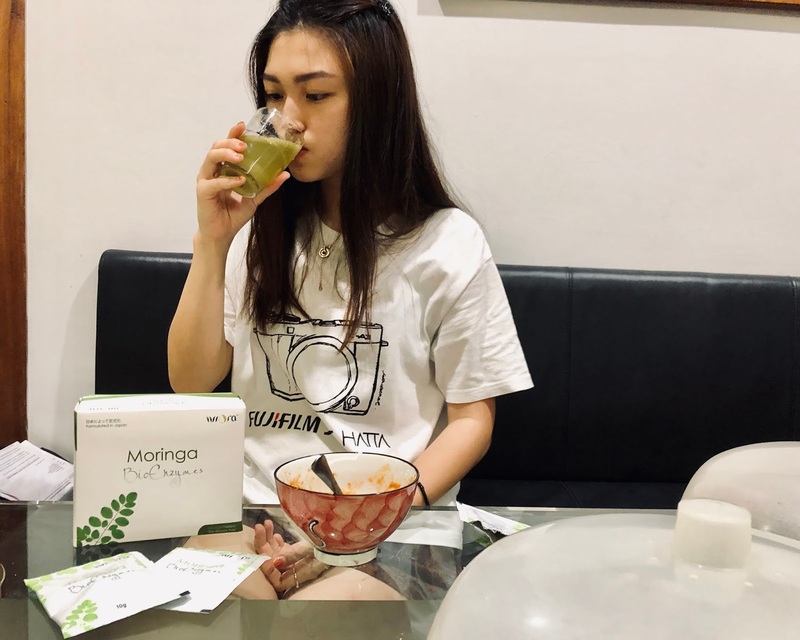 What makes me interested to try Moringa BioEnzymes is that it contains of 100% natural ingredients and it is safe to consume daily because it is produced based on KKM guidelines (Food Act 1983 & Food Regulation 1985). Other than that, I think it's time to find a way to cure my digestive problem so I can fully enjoy every trip. I took 2 sachets a day when I had lots of food, otherwise, I took only one sachet a day. I can feel that my digestive problem has greatly improved after consuming Moringa Bioenzymes. I can feast on the local delights without worrying indigestion problems. The natural ingredients in it work wonder! 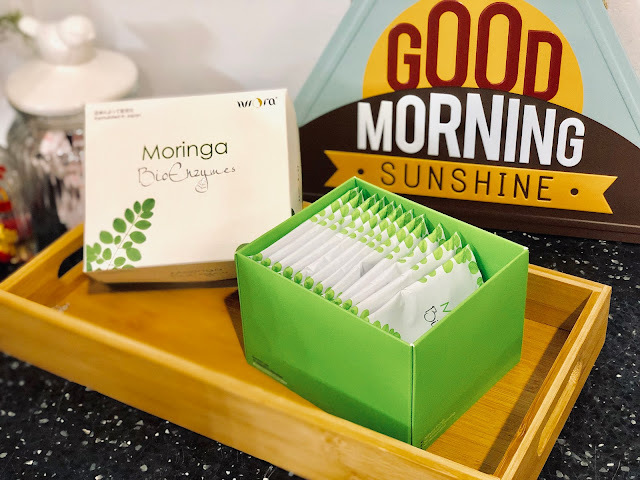 I love how Moringa BioEnzymes come with small sachets so that I can bring it around while traveling and most importantly...it doesn't require a shaker to mix well. It's really convenient. Iviora Moringa Bioenzymes can be found in selected pharmacies and organic store in West Malaysia. Alternatively, you may purchase online at Iviora Malaysia FB Page too! 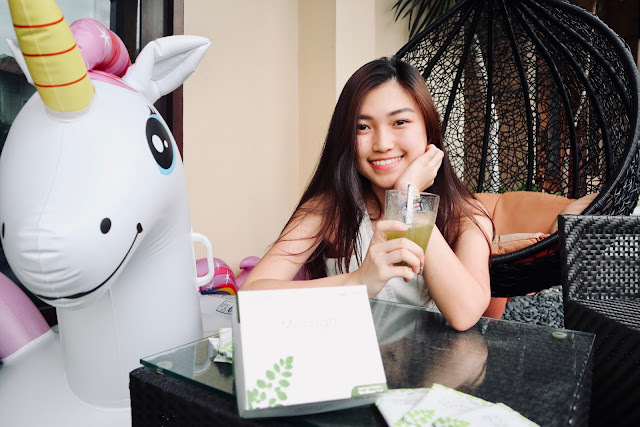 2) PM Iviora Malaysia "I want free BioEnzymes Gift Set, Megan 2019"
【2018 RECAP】HAPPY 2 0 1 9 !! !